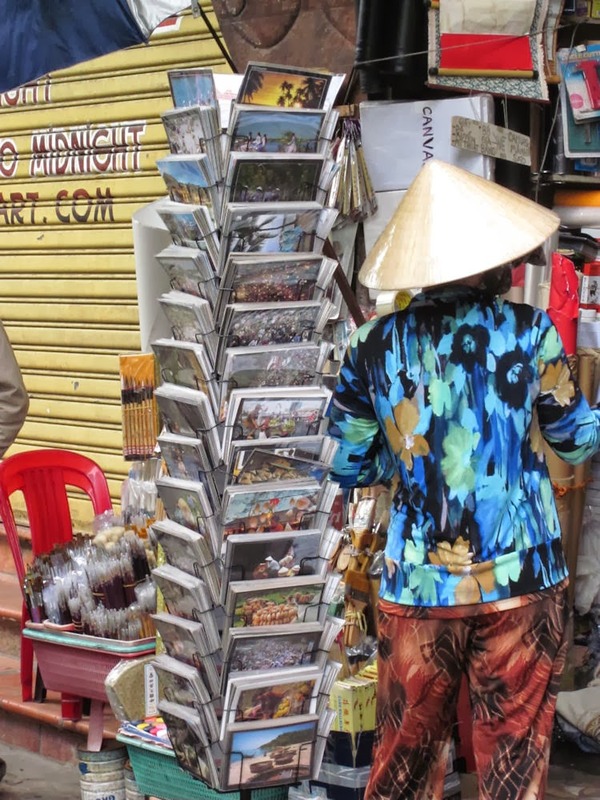 "So sorry Sir no have" is not a phrase you hear often in Saigon's busy markets, despite this nominally being a socialist economy. But the merchandise I was looking for seemed to go beyond the savvy merchants' means. Capitalism fared no better: A few days earlier, in Hong Kong and Macau, my quest was equally difficult. Postcards, it would seem, have gone out of fashion. In the recent past, I would delightfully bargain my way across Asia, leveraging fierce competition and the sudden demand for bulk discounts ("oh Sir you have many friends!") to secure the best price for the little snail mail greetings. But today, people seem to prefer sending a little text message or adding a post on Facebook to get their friends jealous. I am one of the few nostalgics holding out with physical mail, which so nicely conveys that sense of distance and foreignness. 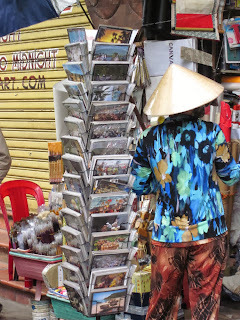 In the end, a roadside vendor released me, and the bargaining was easy, thanks to the distressed inventory he was selling - I only paid a couple of grand (yes, that's Vietnamese Dong) and now my dispatches from Saigon are on their way to the West. They report on a city steeped in recent history, filled with suicidal but suprisingly fluid traffic, populated by an upbeat and striving people and abuzz with entrepreneurial activity I did not expect. From the westernized Starbucks clones, which have pushed past Nescafé and are holding out against the Seattle supremo, to the old-fashioned street food vendors carrying their wares in wicker baskets dangling from a pole across their shoulders, everybody seems to be up to something. Stark, then, is the contrast with the omnipresent communist propaganda posters. With their distinctive style, hammer and sickle and all, they are a dying art form, just like the postcard. One hip gallery sold them as desktop calendars. Almost as much out of place, and yet as prevalent, are memories of the war. Or, as our guide told us on a tour of the Cu Chi underground tunnel network used by the Viet Cong, of the wars, for Vietnam has known many in its turbulent history. Today, tourist attractions such as the former Independence Palace, residence of the president of South Vietnam, offer a bizzare blast from the past with their brutalist-modern sixties architecture, which seems to come right out of a James Bond movie. They bring up painful - and embarassing - memories of a time when dispatches from Indochina did not typically include picture postcards. And they make it obvious, nostalgia or not, that Vietnam's progress into the 21st century is a good thing.